The Minneapolis Park System is focused around the Chain of Lakes, a series of glacial ice block lakes that drain into the Mississippi River by way of Minnehaha Creek. While this jewel of Minneapolis has been preserved from development and draws more than 5.5 million visitors per year, urban runoff from the surrounding 8,000+ acres of urban watersheds and intensive recreational use had taken their toll. 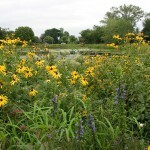 To address these challenges, the Minnehaha Creek watershed district and Minneapolis Park and Recreation Board spearheaded a watershed-wide stewardship vision, which included the Kestrel Design Group as lead Landscape Architect. 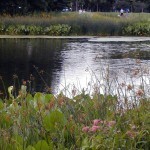 Efforts were aimed at improving water quality; increasing wildlife habitat quality, and drawing out the region’s unique regional character. Kestrel provided services ranging from historical research, natural resource inventory using GPS/GIS Minnesota Land Cover Classification (MLCCS), ecological design or storm water wetlands, sustainable and ecological stormwater management, erosion control, lakescaping, stream restoration, wildlife habitat enhancement, and oordination of neighborhood involvement. Water quality improvement projects aimed at reducing erosion, sedimentation, and excess nutrients in surface water bodies and increasing awareness of water quality stewardship issues on public and residential land. For example, the Cedar Meadows Stormwater Wetlands Project included creation and restoration of several wetlands, resulting in increased water clarity from 3.5 feet to 15 feet visibility in Cedar Lake. Further downstream, grit chambers and a created micropool have greatly reduced the sedimentation plume into Lake Harriet. Comprehensive water quality improvement efforts at Lake Nokomis Park are improving water quality through a combination of rough fish removal, grit chambers, three stormwater wetlands, modification of the lake’s outlet structure into Minnehaha Creek, and lakeshore stabilization. Clarity readings doubled from 2002 to 2003. Erosion and instability were addressed with soil bioengineering, streambank gradient stabilization, and floodplain reconnection at Minnehaha Creek. 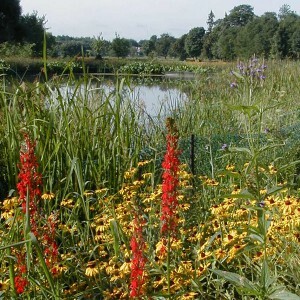 Wildlife habitat has been enhanced by creating and restoring wetlands, establishing diverse, native wetland buffers, and installing wildlife habitat enhancement structures.